Is India becoming a boon to the investors from all the countries to invest in some great ideas? Is India becoming the place for global expansions? Are businesses in Technology moving ahead of all other implementation businesses? Each of us have different views when asked such questions. Let us know directly from those involved in the world of business, who shared about their views on the growth of Startup ideas, Investments and more with iUeMagazine in the first ever Global Startup Meet of the country organized by the Scaale group! Networking is one of the most essential aspect for the growth of any start-up in their journey of Entrepreneurship. A lot of participants attend such events to connect to lot of like minded people, investors & learn from different Entrepreneurs. 'Startup India Rocks' became a platform for connecting startups to Global Investors and the Investors to the right businesses to Invest. 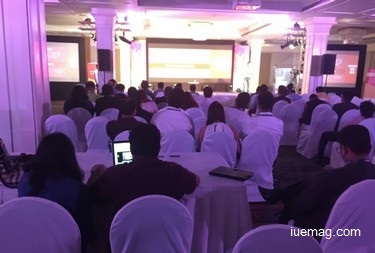 Dr. Sridhar Vangala, VP at TalentAnywhere told IUeMagazine, “The organizing team has done a great job in organizing it really well and I can also find a meaningful networking happening. Unlike other events, where I have found many, who just come to hang around, I see lot of action - oriented entrepreneurs who have struggled for 2-3 years and are here for some real connections to make a difference for their ventures”. Anna Degtereva, Founder & CEO of Happy Farm Accelerator from Ukraine shares about how amazingly the event has brought together, Business minds from across the Globe to a single place for better and faster associations. “This is one of its kind of event happening in India and should happen more often” she adds. She was happy to connect to lot of young entrepreneurs, while she stated, “More such young entrepreneurs should participate in such events. They should be taught how to pitch their ideas”. Bhavesh Kothari, Co-founder & Chief Mentor at The Mentorpreneurs Inc, who is also one of the partners with the event was extremely delighted to have met some young entrepreneurs and investors from various locations. He was glad to be a part of the event along with the presence of his mentee. Arch. Milind Ramani, Proprietor & Mentor at Effective Architectural Services (EAS) who advices and works with 7 different state Governments of India adds his views about the discussions. “A lot of entrepreneurs complain that Government is not supportive or Government isn’t listening to their requests. In reality, all state government policies are entrepreneur friendly & are supportive to flourish employment. But, entrepreneurs fail to 'PITCH' their ideas in a right way”. Priyank Dahanukar, CEO at evi (Electric Vehicle India) shares about what more was expected in the event. “Investors and participants focus was more on e-commerce ventures & was less on innovative idea from other spaces”, he remarks. He is planning to launch his electric vehicles in the upcoming AutoExpo event. 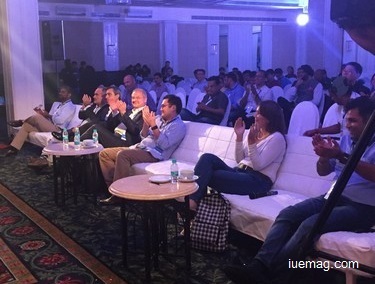 A lot of entrepreneurs & investors were delighted to learn about iUeMagazine and its vision of inspiring the masses. Specially, the budding entrepreneurs were excited know about “Startup space, Marketing place” category in IUeMagazine which exclusively is meant for a PR for 0-2 years old startup, and also about “Entrepreneur’s Delight, Business Insight” and “Inspiring stories, Unparalleled glories” categories which inspire Entrepreneurs from across the Globe. Delegates have taken back great connections and are positively eager to materialize them into productive outputs. Any facts, figures or references stated here are made by the author & don't reflect the endorsement of iU at all times unless otherwise drafted by official staff at iU. This article was first published here on 19th October 2015.